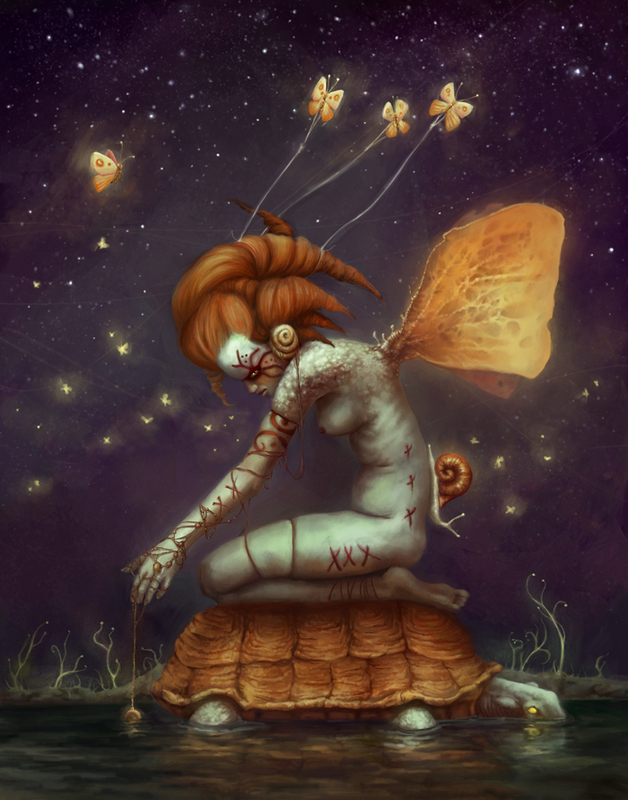 "Beware the Ugly Butterfly or she will break your heart and devour your soul"
Lauren is a very emotive and intense artist in the details and expression she captures in her works. I am very happy with the result and the atomosphere she created. I was pleased to see all the personal touches she brought to this work! It was great working with her and a challenge for both of us!